To see great agricultural products near North Yorkshire, you will need to get in your car and drive up to Steam and Moorland Machinery Centre. You can visit us any day of the week, including Sundays, with the kids. While they have fun in our colourful garden centre, you can discuss your options for agricultural tractors and other heavy machinery with our experts on the premises. We have a wide range of agricultural machinery waiting for you in our impressive on-premises displays. With our focus on variety and satisfying customers with varying tastes, we have established a full spectrum of agricultural products near North Yorkshire in terms of prices and capacity. Tractors: We have a great line of agricultural tractors that come in both 2-wheel- and 4-wheel-drive options. Because you need no other brand when a Siromer is available, those are the only tractors we keep. We have 164E’s, 204E’s, 244E’s, 204S’s, 304’s, and other models available in flat packed and assembled-only options in many cases. Since buying an agricultural tractor costs a considerable amount of money, it is imperative to get the right one, which you can ensure by talking to our salespeople. Implements: We also have a number of agricultural implements in our inventory. Siromer leads the way again as you discuss a wide range of options depending on your purpose and specific needs. Depending on the purpose in mind, you can get implements for spreading salt, splitting logs, or boring post holes. We also have implements with salt blades if that is something you are concerned about. Backhoes, finishing mowers, loaders, balers, snow blades, tipping trailers, drum mowers, rotary cultivators, and transport boxes are also available should you need any of them. Other Farm Equipment: We also offer a variety of farm products, such as electric fencing, poly wire and posts, borers, etc. These products are few of the items available in our stock so that you never have to worry about protecting your garden from unwanted intruders (read rodents and vermin). This equipment is fairly easy to install and use - something you can do on your own. Our collection of agricultural machinery is surely a sight and a lot of farmers not just from our neighbouring Pickering visit us but also those from all corners of York. With your North Yorkshire home, you are in an ideal location to visit us and discuss your options with experts in our premises. Meeting an agricultural machinery expert and discussing with them your specific needs and limitations firsthand allows you to get the best value for your investment in this expensive equipment. Our experts know they are expected to help the customers so they are ready and willing to assist with their plentiful knowledge and expertise. You can ask them any questions about our tractors and displays of agricultural products near North Yorkshire before you settle on which ones would suit your needs best. Our online store is fully equipped with the same inventory that we have on display in our premises. The online store keeps a real-time record of available inventory and allows you to read the features of every available item along with images. We have filters available that you can use to see products of your choice conveniently. Our online store allows farmers all across the UK and in the EU to order agricultural machinery of their choice. 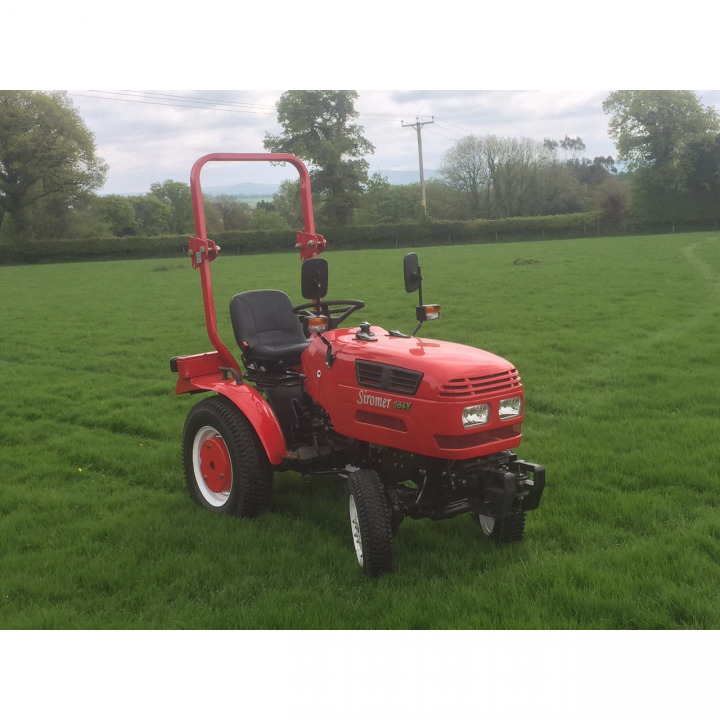 If you are in need of agricultural tractors or other garden machinery, feel free to visit us any day of the week or place your order securely online. Visit us this week and get your favourite agricultural machinery without a fuss!